What better place to display treasured artwork and beloved drawings than in the hall leading to the nursery? Choose quirky frames in a variety of colours and sizes for a mix-n-match approach that's personal and cheerful. Add an extra welcoming touch with a bold red carpet -- and voila! 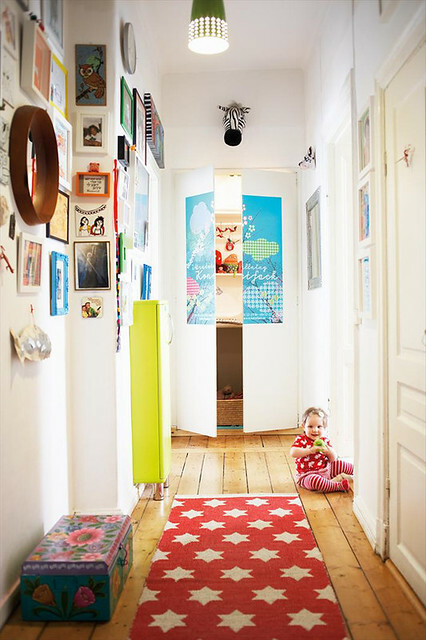 An entrance fit for gorgeous little feet.